Nikken Air Wellness Power5 Pro Filter Pack. To receive optimum performance with your Nikken products, replace filters and other components when necessary. Your product manual includes the recommended intervals for inspection (where applicable) and replacement. This may need to be performed less or more frequently, depending on operating conditions. 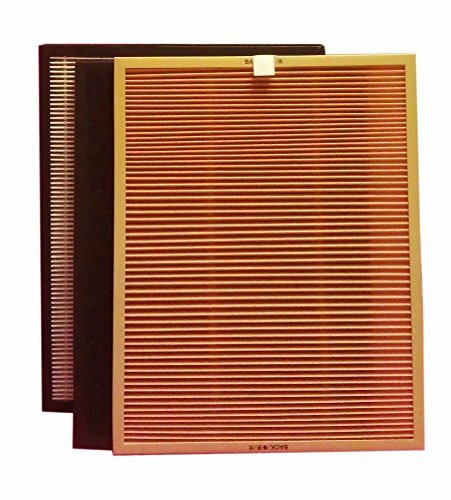 Filters cannot clean effectively when they are dirty, and will not perform at the highest standards when they are in need of being replaced. We would suggest that you order several so that you always have a clean spare on hand to keep you breathing easy. IMPORTANT MESSAGE: Please do not discard pre/filter mesh cover, as this item does not come with the filter replacement.